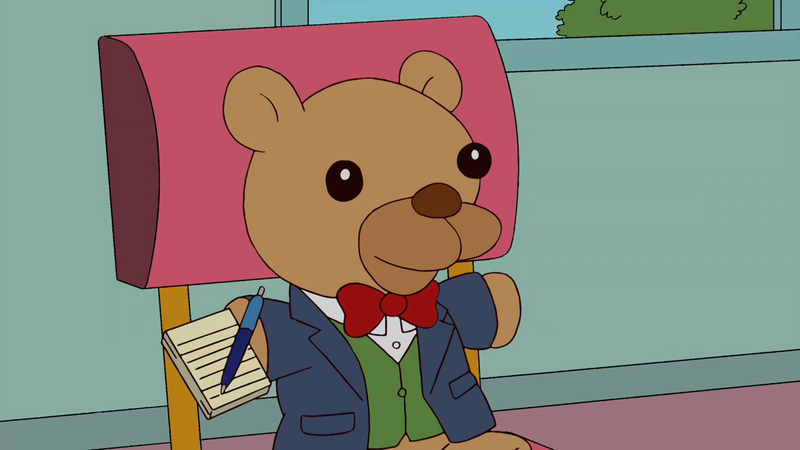 Dr. Therabear is a "colleague" of Dr. J. Loren Pryor. Pryor uses Dr. Therebear to talk to kids who don't want to talk to him. Bart rips it up looking for a camera when there was one in the poster behind him instead. Modified on April 21, 2018, at 14:20.